What is the greatest thing since sliced bread? It is still sliced bread!! 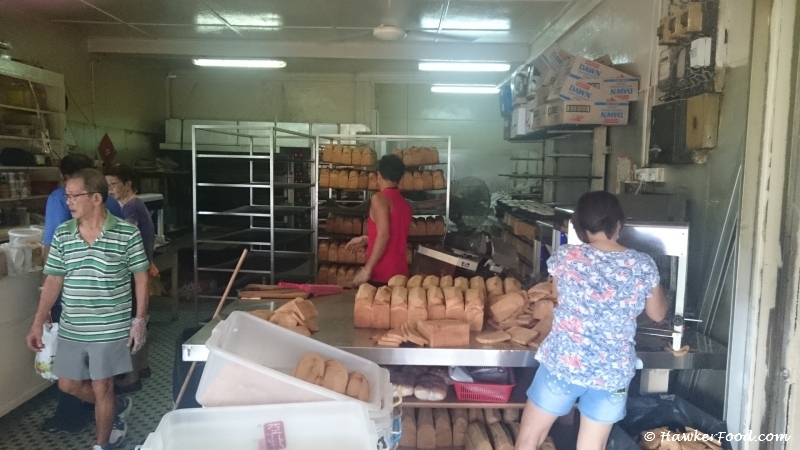 Lao Beng (yours truly) really missed the old school traditional bakery shops like the Ghee Leong – Sing Hon Loong Bakery (新丰隆面包厂) located in Whampoa, near the Whampoa Drive Market and Food Centre. When I was young boy in the late 80s and early 90s traditional bakeries like this was just a stone throw away from where I stay. I remember buying the bread, toasting it with my mini oven and spreading planta butter (this foolish boy thought planta was real butter) and hainanese kaya (coconut jam) on it. Sometimes when our family couldn’t finish the whole loaf it will turn mouldy on the second night or third day. This shop needs no advertisement, you can literally smell the freshly baked bread one hundred metres away. 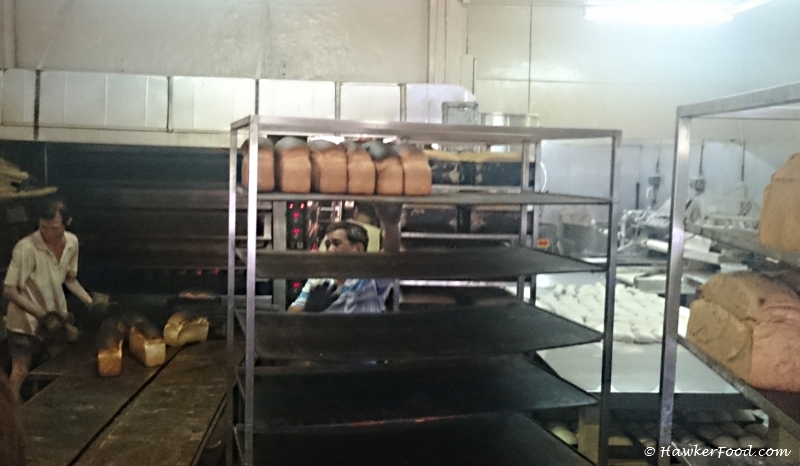 From the shopfront, you are able to see the standard squarish white bread as well as the traditional white bread on the second shelve. 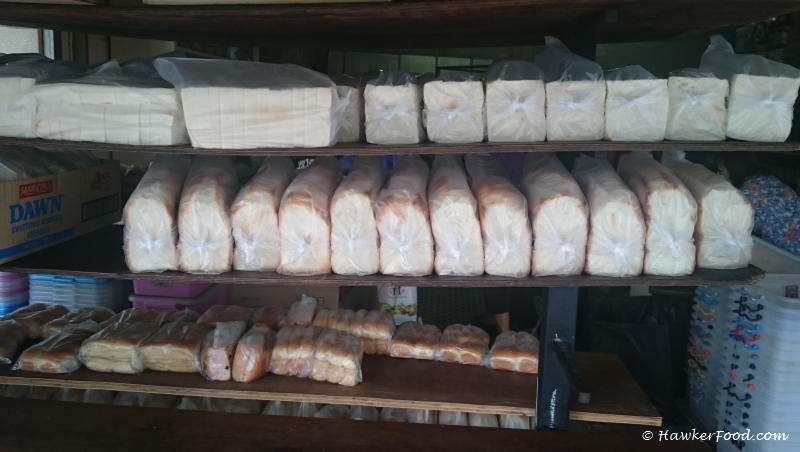 They also sell assorted buns like red bean, coconut, cheese and also wholemeal, sugar coated breads and baguette. You can get them to spread margarine and kaya on the bread which makes it easy for immediate consumption back home. 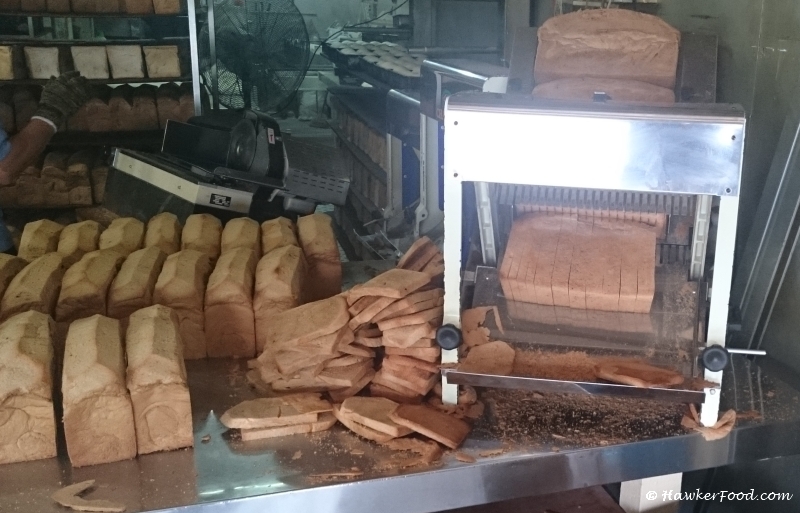 The artisans at work, all these bread are handmade. 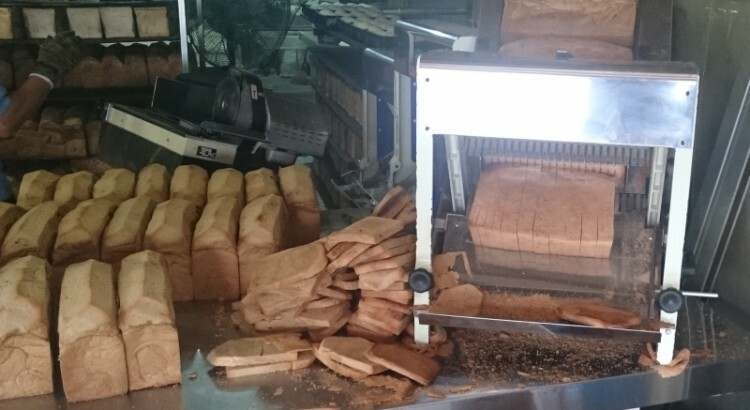 From the kneading and rolling process of the dough into a loaf, to the baking and slicing of bread, it was a delight to see humans in action instead of a cold machine. When the loaves come out from the oven, the top crust will be charred but fret not as they will slice off the charred areas before proceeding to slice them into pieces. 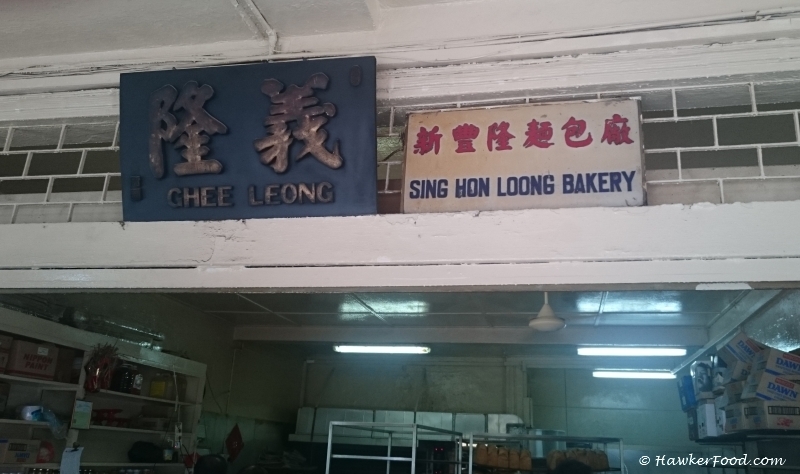 If it is not obvious enough (the logo on the plastic container is a giveaway), Ghee Leong – Sing Hon Loong Bakery is a major supplier of traditional bread to many cafes. If you had eaten Ya Kun Kaya Toast, the toasted brown bread with butter and kaya spread is something you will never forget and will never get tired of be it as a breakfast or tea break snack. I bought a brown sugared loaf at $1.50 so that I can relive what I did during my childhood. Without toasting the bread it tasted very soft and fluffy, you can eat it on its own or dip in a cup of Milo. But of course nothing beats the feeling of toasting and spreading your bread as you get to decide on how thick you want your butter to be (I love SCS butter!!!) and the amount of kaya on the crispy toasted bread. This needs no verdict at all, simple handmade bread like this beats the daylights out of strange naming mass produced buns which tasted soulless. This is truly a great Singapore experience and this art should be preserved for generations to come. Comfort food at its best.